The dentists at Navan Dental are able to use a polishing instrument, to remove small amounts of surface enamel from one or several teeth, to help give them a more even appearance. The dentist will be able to apply this procedure to any tooth that looks uneven and is spoiling the aesthetic appearance of your smile. Tooth contouring is a relatively inexpensive and completely pain free procedure that can help give you the smile you’ve always dreamed of. Small adjustments in the size of your teeth can alter the proportion of the teeth and make the teeth look more even. Tooth contouring can usually be performed in one visit to the dentist with the length of the procedure varying according to the patient but rarely taking more than between half an hour and an hour. As only small amounts of enamel are removed you are not likely to feel any pain during the procedure. Some patients who have very thin tooth enamel will not be considered suitable for tooth contouring but for the majority of patients that should not be a problem. 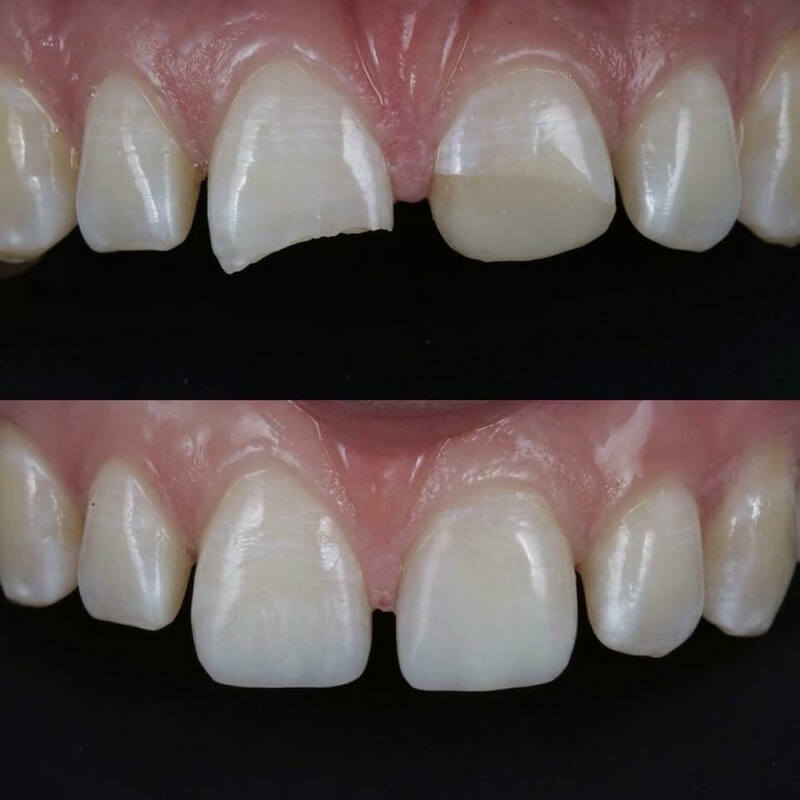 If your front teeth are mildly chipped or out of line, tooth coloured composite (filling material) can improve the appearance of these teeth very simply, safely and cost effectively. The size and shape of the teeth can be corrected, so that slightly damaged or out of proportion teeth are brought back into line. Composite filling material bonds very strongly to the surface of your teeth. This is then shaped and highly polished to blend in with your own tooth and greatly improve the appearance of the teeth. The procedure will take between 30 and 60minutes on average.